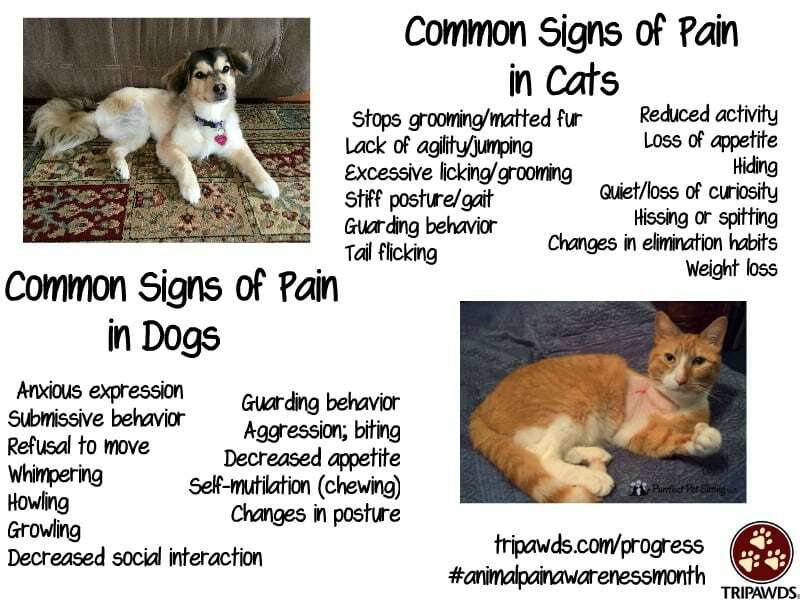 We hope that our recent #AnimalPainAwarenessMonth articles about Tripawd pain management helped keep this important topic on your mind. As pet parents it’s our responsibility to ensure that our animals don’t suffer in silence, and for Tripawd heroes this is even more critical. Amputee pets are more prone to joint and muscle stress, but there’s so much you can do to minimize the risk. You can start by reviewing our Best Tripawd Pain Management Tips (so far)! Can Our Smart Devices Interfere with Our Tripawd’s Pain Relief? For more great Tripawd pain management tips, explore recent and archived posts in our featured blogs! 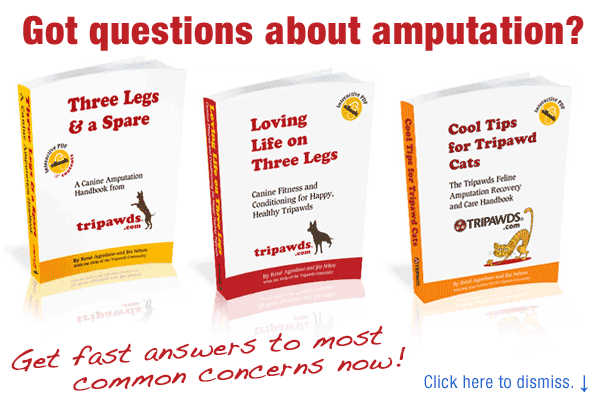 Find more great pain management tips in the Tripawds e-books!